It’s perhaps the most exciting six weeks in British cruise history with the Anthem of the Seas and the Britannia making their way to Southampton for their maiden seasons. The two ships represent landmark occasions for P&O Cruises and Royal Caribbean respectively – the Britannia will become P&O’s largest vessel in operation and Anthem of the Seas, alongside her sister ship, is set to be the most technologically-advanced ship in operation. Here we examine the two ships and what they offer the British and global cruise industry. Upon their launches, both ships will enter into the list of the world’s 15 largest ships, with the Anthem of the Seas becoming the tied third largest ship in operation. Here we take a look at the staggering statistics and measurements of the two super liners as they prepare to take to the seas. The Britannia was paid perhaps the most valuable celebrity endorsement earlier this week as the ship was officially named by Her Majesty The Queen. P&O Cruises have had a long connection with the Queen and the Royal Family, having named a number of ships in the fleet. The ship has also agreed to bring the unofficial queen of baking, Mary Berry, aboard to offer baking classes for passengers alongside cooking classes from a selection of celebrity chefs including James Martin and Antonio Carluccio. Royal Caribbean are yet to announce the line-up for the Anthem of the Seas’ naming ceremony, although the ship’s official Godmother role (so often filled by a celebrity name) will be reserved for a hardworking travel agent with the voice of an angel. 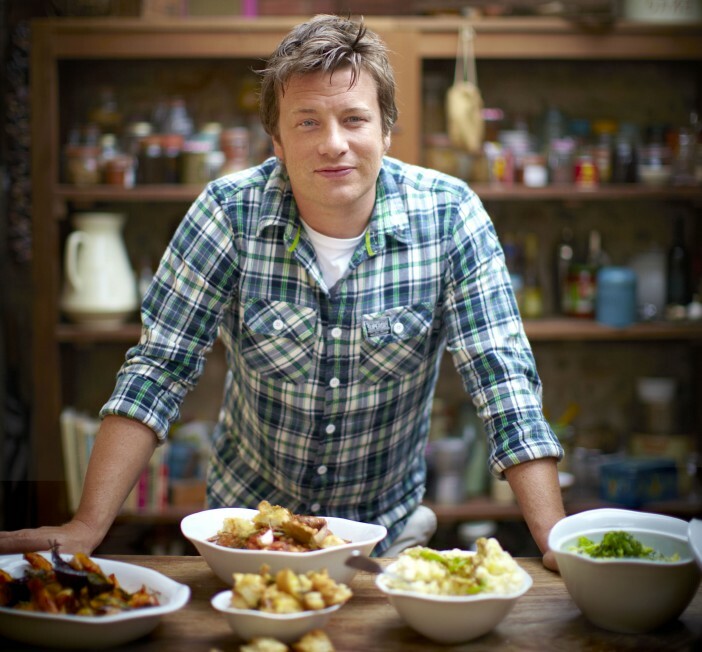 On-board the ship, the celebrity representation will be spearheaded by the cheeky chappie of British cooking, Jamie Oliver with his eponymous Italian restaurant. Alongside the aforementioned cookery classes which look set to become a flagship feature of the Britannia, the ship benefits from a wide range of dining options including 13 bars and 13 restaurants and cafes. Highlights include the authentic French patisserie ran by Master Patissier, Eric Lanlard, and Atul Kochhar’s Indian style eatery Sindhu. Kochhar has long history with P&O Cruises, with restaurants featuring aboard a number of the line’s ship. The Anthem of the Seas benefits from Royal Caribbean’s new Dynamic Dining programme, giving passengers greater freedom when choosing where and when to eat. 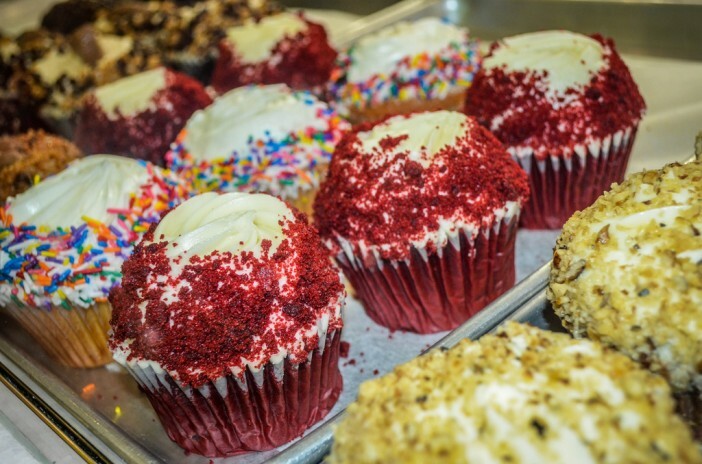 Passengers are able to choose from five complimentary restaurants – American Icon Grill, Chic, Coastal Kitchen, The Grande Restaurant and Silk – alongside six other small complimentary eateries and seven extra restaurants available at an extra charge. Specialist dining options include Devinly Decadence, a healthy eating bistro in the ship’s Solarium – an adults-only spa and wellness centre. The Britannia is the largest cruise ship dedicated solely to the British cruise market and will complete a series of cruises throughout the Atlantic, Mediterranean and Norwegian Fjords during the ship’s first season on the seas. The captain will then turn his attention to the Caribbean during the winter months. Highlights of the Britannia’s first season on the seas include 14-night Spain, Monaco and Italy Cruise on 13 June. Currently, Royal Caribbean are only planning to dedicate the first season of Anthem’s career to the British cruise industry, taking in a variety of Mediterranean cruises before repositioning to New Jersey in October. Highlights of the season include the cross-Atlantic Maiden Voyage to New York Cruise with NYC & Las Vegas Stay on 27 October. As the second ‘smartship’ to enter into operation, there are a number of features aboard the Anthem of the Seas which are unique in Europe. The Bionic Bar contains two robotic bartenders who can quickly and accurately mix up a whole menu of exotic and delicious cocktails. Other highlights include iFly, the first ever skydiving experience at sea and NorthStar, an observation pod which lifts passengers 300ft above the sea. The Reef is the comprehensive programme for all children aged up to 18 aboard the P&O Britannia. With age-specific groups and even a teens-only pool deck – the kids will enjoy the Britannia as much as you do and even grant you a little peace and quiet. The night nursery is particularly helpful for parents of toddlers who want to enjoy a sophisticated meal at least once during their holiday. Royal Caribbean has long concentrated on ensuring all members of the family are kept happy and entertained at sea. 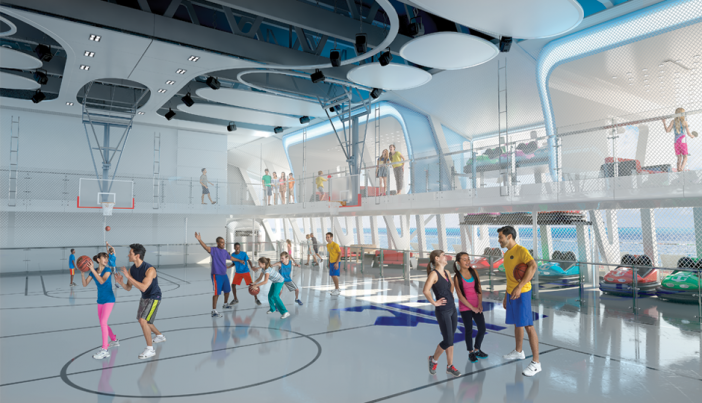 Alongside age-specific kids club, the ship also includes SeaPlex, the largest indoor recreation complex on the seas – providing facilities for kids of all ages to ride bumper cars, play basketball and enjoy roller discos. Whilst there is very little to separate these two ships, it’s clear there’s never been a better time to be a British cruise fan than 2015, with the world’s two newest mega-liners sailing out of Southampton. We explore the features of the P&O Britannia and Anthem of the Seas - Britain's two newest cruise ships.